In small bowl, blend brown sugar, cinnamon, walnut pieces and sugar. Unroll crescent roll dough triangles onto cookie sheet. 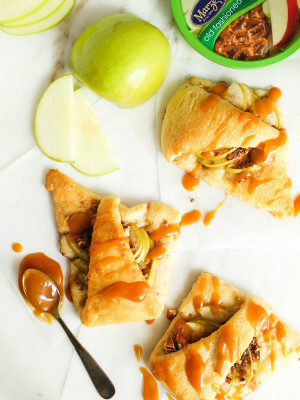 Fan apple slices along bottom of dough (the larger part). Add sugar and nut crumble mixture onto each (divide evenly among 8 tarts). Pull top end of triangle dough down and over the apples, leaving apples partially exposed. Bake for 10-13 minutes or until browned on top. Remove from oven and let cool for 1 minute. 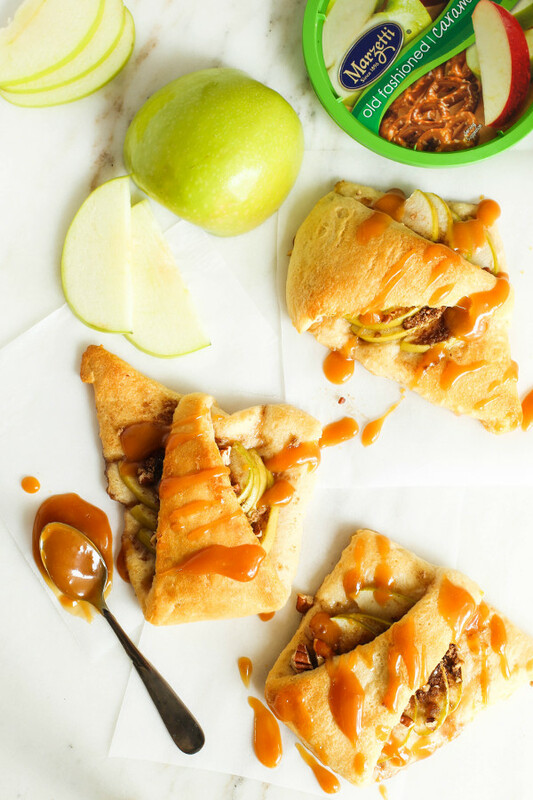 Drizzle each tart with Marzetti Old Fashioned Caramel Dip and serve immediately.